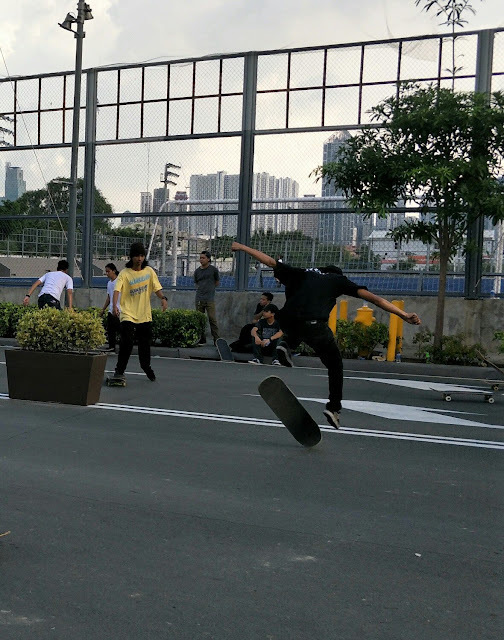 Skateboarding is continuously gaining popularity both as a sport and recreational hobby in the Philippines especially now that there are areas being built for that particular sport such as the Mountain Dew Skate Park in Circuit Makati. And last June 21, DC Shoes Philippines mounted an event that coincided with Go Skateboarding Day by attempting to break the Guinness World Record for the largest skateboarding parade. Legions of skateboarders from all over the country banded together and took part in the biggest skateboarding parade to celebrate Go Skateboarding Day. 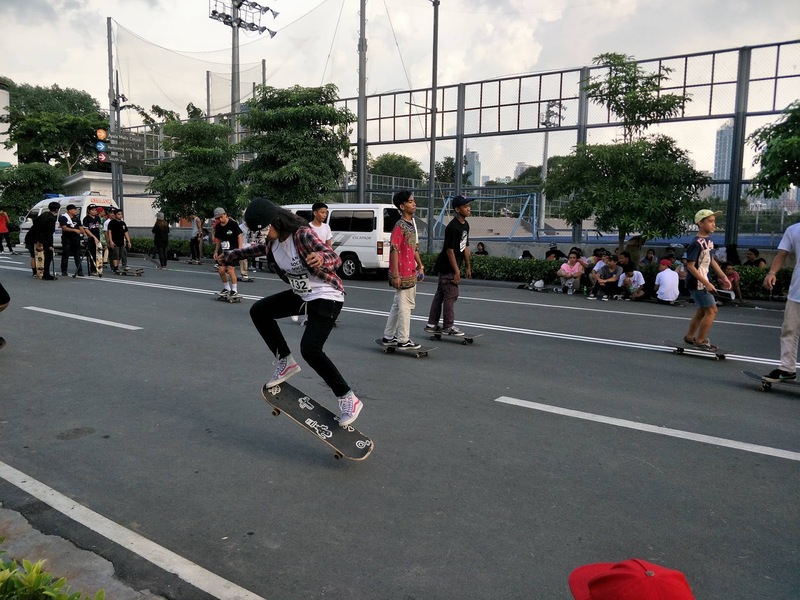 Registration was held at the Quirino Grandstand on the morning of June 21 and from there, the parade of skateboarders traversed the streets up to the Mountain Dew Skate Park in Circuit Makati. 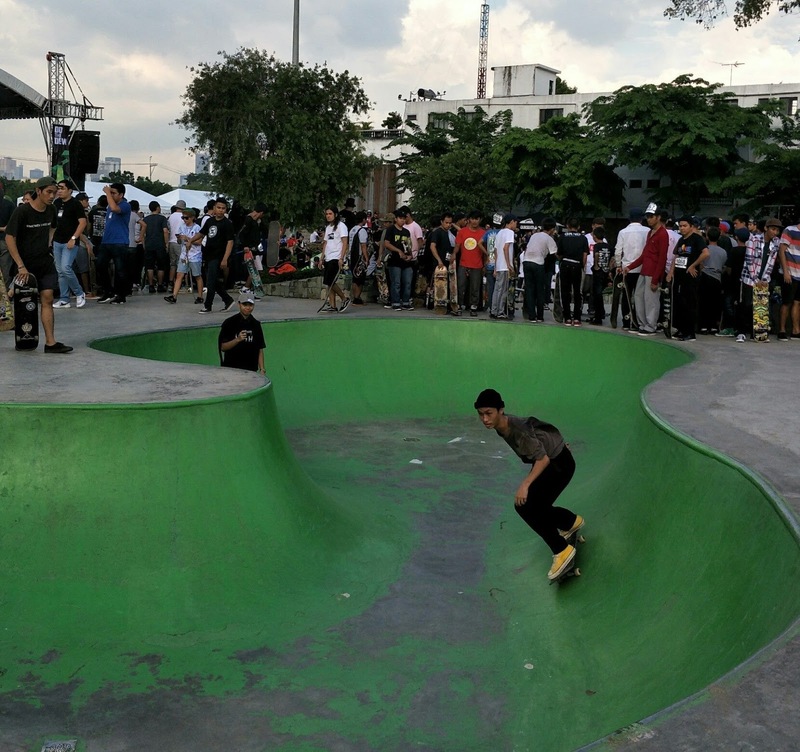 The event also highlighted DC’s Core Skateboarding Competition with guest skateboarders DC Pro Cyril Jackson, Chase Webb, and Alex Lawton who did skate demos and free skate sessions with Filipino skateboarders. 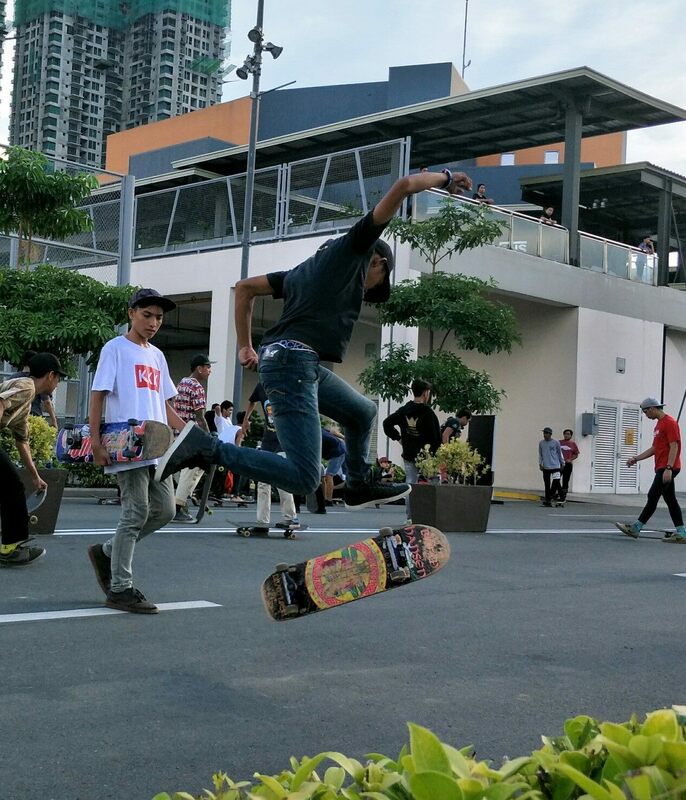 It was quite interesting to watch the adrenalin inducing competition such as the Longest Gap challenge wherein the skateboarders need to Ollie over 10 skateboards to get to the next round. Additional skateboard is added after every round and by process of elimination, only one participant is declared as winner. Next up is the DC Invitational Competition qualifying round. Performance is based on technicality, consistency, and creativity. The participants were made to perform one-minute runs. Only 8 participants moved up to the final round wherein they competed under the same criteria. The top 3 scorers was declared champions of the DC first-ever Invitational Competition. There’s also the Highest Ollie challenge that required the participants to Ollie over a bar that goes up by 1 foot in every round, and the Best Grind challenge wherein the participants were asked to perform one Grind trick on their obstacle of choice. The top 8 participants who passed the technicality, consistency, creativity, and quality battled it out in the final round and the one with the highest score emerged as the winner. But its not all live skateboarding competition as DC announced the winner of the Skate Submit online contest. The participants were asked to submit a one-minute video on Facebook and Instagram. DC also launched the DC x Baker Skateboards capsule collection. Designed by DC’s Cyril Jackson, the collection is a homage to both brands’ California roots. It features a no-nonsense, all attitude line that highlights DC’s Classic Trase Slip-On with the Baker Skateboards logo incorporated throughout. Completing the collection are a range of co-branded tees, a lightweight anorak, and snapbacks which are available in Baker’s signature colorways. Bea Benedicto and veteran skateboarder Norwin Caluya hosted the event that also featured a live DJ performance. DC gave away thousands of cash prizes for the DC Invitational category as well as DC products and gift certificates for the other contest winners. It was truly a memorable event and DC Core Skateboarding Competition is not just a hype but rather, a force that empowers a new breed of skateboarding enthusiasts in the local community scene, especially with its range of footwear and lifestyle products.